We joined because of the car. We stay because of the people. 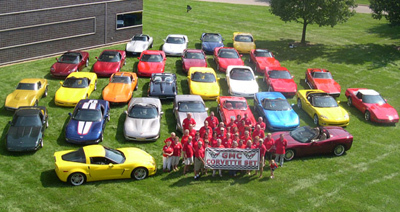 The GMC Corvette Set was established in March of 1976 by a group of GM Truck and Bus employees. In August of that year they held their first annual car show with the proceeds benefiting Leader Dogs for the Blind. This annual show has been held at scenic Olde World Canterbury Village since 2005. This is our largest yearly event and has become the most unique Corvette only car show in the area. The rolling and shaded grounds of Olde World Canterbury Village provide the perfect atmosphere for a day of family fun and Corvettes. Throughout our history, the club has continued to grow and is now a self supporting non-profit organization. 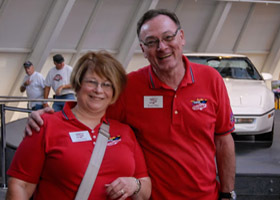 We have a very active membership of all ages and interests who enjoy the Corvette lifestyle. Please join us as we continue to enjoy our enthusiasm for the best automobile ever built... The Corvette.